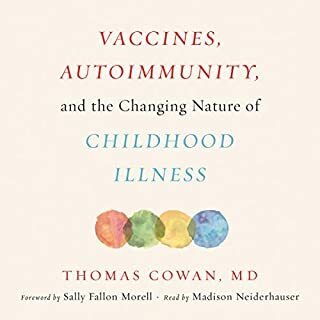 From New York Times best-selling author Robert F. Kennedy, Jr., comes a science-based call for the immediate removal of the dangerous mercury-containing preservative Thimerosal from vaccines. 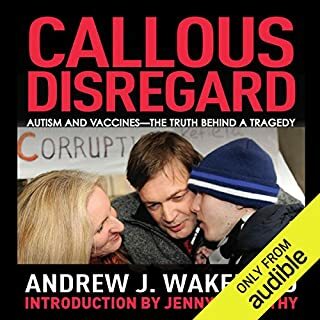 Over a decade ago, following a sharp rise in developmental disorders such as autism and ADHD, the mercury-containing preservative Thimerosal was widely believed to have been eliminated from vaccine supplies in the United States and abroad. However, dangerous quantities of Thimerosal continue to be used, posing a significant threat to public health and leading to a crisis of faith in vaccine safety. 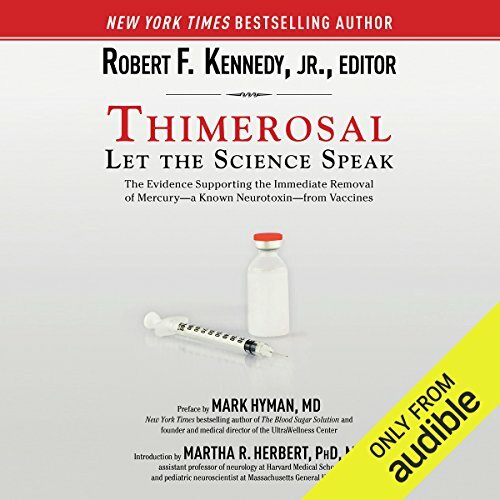 In this groundbreaking audiobook, Robert F. Kennedy, Jr., examines the research literature on Thimerosal and makes a very clear statement about its potentially dangerous effects. In the past, the CDC, FDA, NIH, and AAP, as well as the US Congress, the American Academy of Family Physicians, the US Department of Agriculture, the European Medicines Agency, and the California Environmental Protection Agency have expressed concerns over the use of Thimerosal in vaccines. But despite the many voices calling for action, the media and policy makers have repeatedly failed to adequately address the issue. Now, with Thimerosal: Let the Science Speak, the science supporting the elimination of this toxic chemical from the world's vaccine supplies, and its replacement with already available safer alternatives, is all in one place. Making this change should increase vaccination rates by restoring the trust of concerned parents in the vaccine program - a program that is so vitally important to public health. 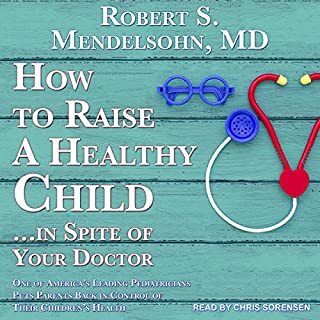 ©2014 Robert F. Kennedy, Jr. (P)2014 Audible Inc. 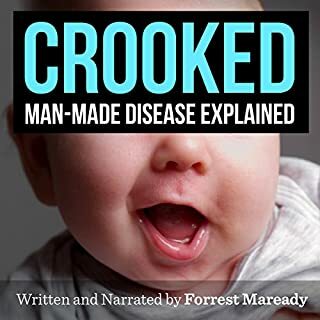 I had to rewind a few times to make sure I was following, there is a lot of good info in the book on the data of thimerosal exposure and the corruption at the CDC, I didn't want to miss anything by passsive listening. What made the experience of listening to Thimerosal: Let the Science Speak the most enjoyable? This is not a book for pleasure. It was horrible to hear about the people in power who were and are doing things that cause immense suffering to babies and children and their families. These people, even after finding out the results of their actions, hid (and continue to hide) those results and continue to hurt people. It's frightening. I wish it weren't true, but Robert F. Kennedy lays it all out there and backs up everything he says with research and facts, as far as I can tell. It's unbelievable that people have been injecting a substance into babies and children that is a known neurotoxin and, if the doctor doesn't use it up, the stuff is considered hazardous waste(!) and can't even be disposed of in the regular trash. OMG! 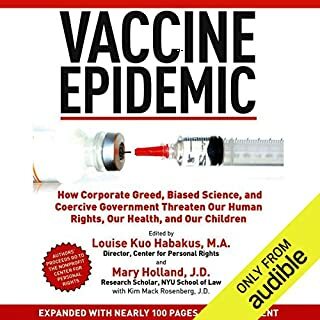 Why would anyone allow hazardous waste to be injected into your newborn baby (or your child at any age) when there are safer vaccine alternatives? The whole book was shocking. Thank you Robert F. Kennedy for your work on this issue! I'm looking forward to the day when those who have perpetrated such evil will be held accountable. I hope that in the meantime people with babies are able to protect them from this harm by asking their doctor for vaccines without the thimerosal. 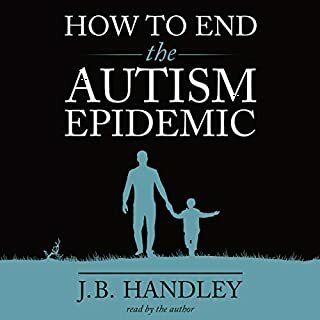 my son's autism was highly "correlated" to Thimerasol in my Rh Neg shots, my contact solutions, and the protocols in 1998. He is healed, but it took so much, and hurt many.